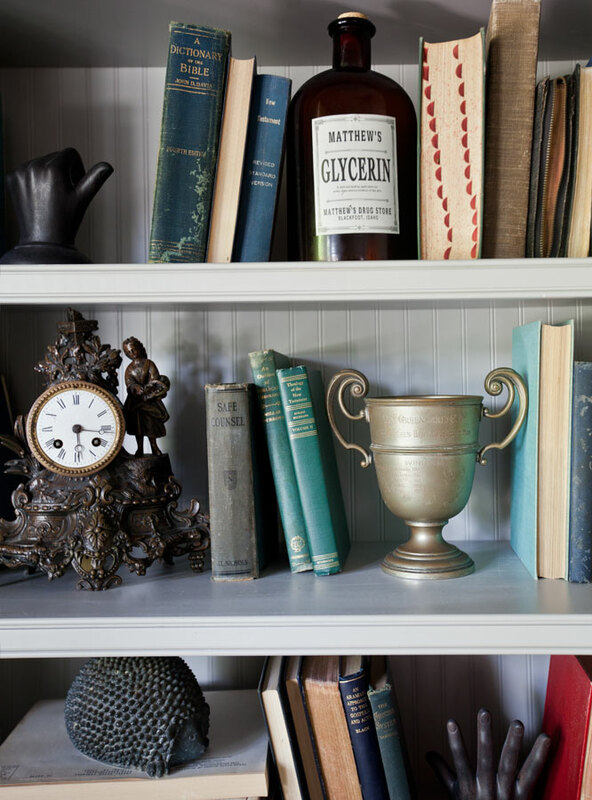 Vintage trophies are a great way to add some personality to a room. I really get excited when I find any of these vintage gems. They come in lots of shapes and sizes. When I first got them, I did what most collectors do, I grouped them together so they didn’t get lost in the rest of the room. Often if you have a collection, it is best displayed all grouped together. 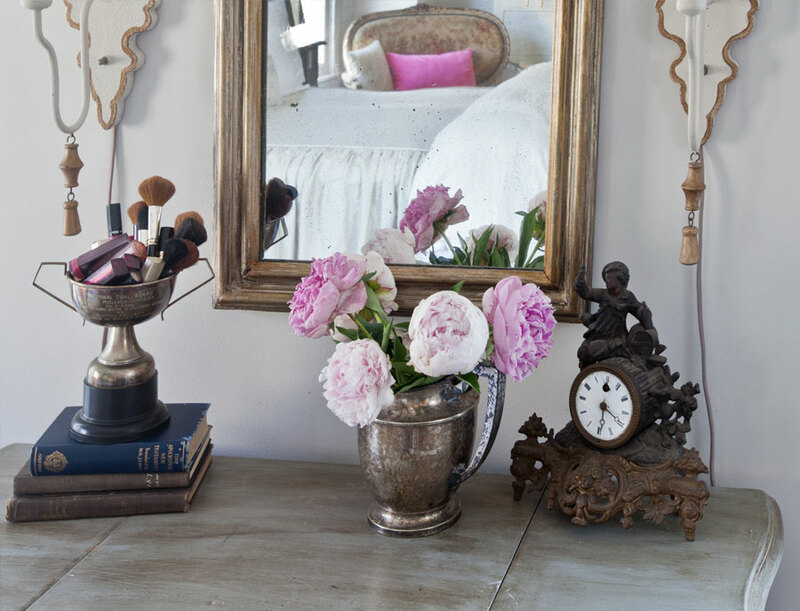 In my bedroom, I use one of the trophies to hold lipstick and make up brushes. It’s a bit messy, I know. Okay I’m laughing at how bad it looks, but that’s the only photo I have, so there you have it!! Some others made their way into the bookcase in the study. This one is especially elegant. But this next one is my favorite, because of what it says on the trophy. I mean really? Best developed man? Although I find the wording odd, I have to admit I would have liked to meet Jack Baily who won it 3 years in a row. Apparently he was so ‘well-developed’ that it was uncontested in 1937. No folks, I’m not making this up. Oh Jack Baily, I wish I could have met you!! I even have one in the bathroom to hold soaps and and other bath goodies. Yes Mom, I know it’s tarnished. Well I actually call it ‘patina’ hee hee. There are so many ways you can use trophies that I haven’t even thought of yet. So where do you find them? I’ve found them at antique shops and at the auction. EBay is also a great source. I will admit, they aren’t the easiest to find, and they are often expensive. So if you find one for a reasonable price, GRAB IT!! Thanks Lynne! I think they are so fun in decor. I love your trophies,i never thought to use trophies i have pieces of pewter i use like that. Thanks for the design ideas,have a blessed day. Now here is something I’ve never thought of collecting . . . but I LIKE it! Best Developed Man . . . too funny! 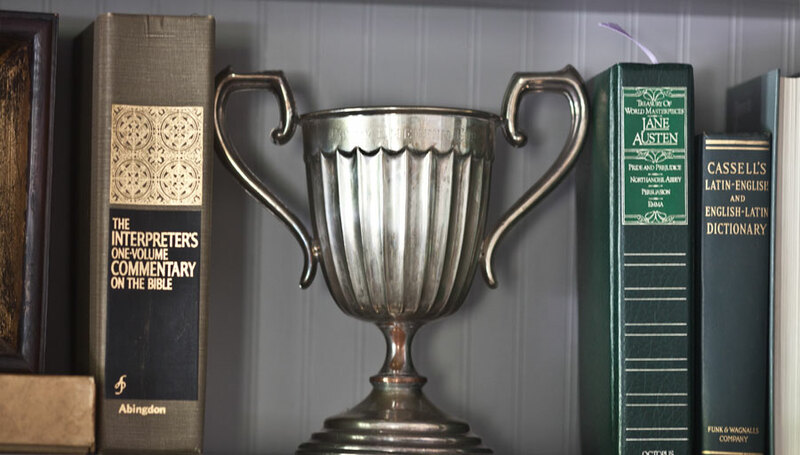 I recently was at a flea market where a gal took the tops of sports trophies and turned them into wine stoppers — very clever! Will have to check out Ebay and see if there are any good deals on these! How about old tarnished baby cups?? 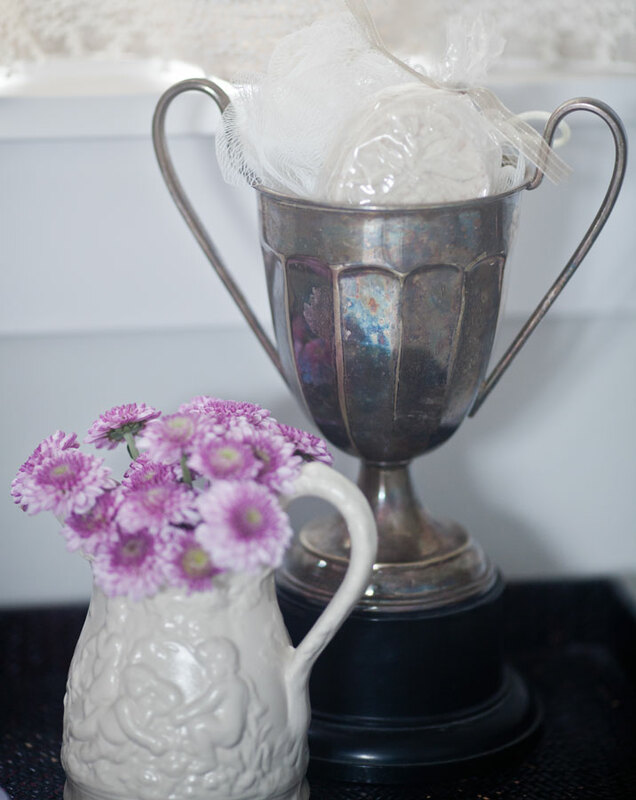 I adore the way you use the vintage trophies. They have a simple elegance. I only have one vintage trophy. You have a beautiful collection. You have a lovely collection! And yes, The “Developed Man” trophy is fantastic. They are just wonderful! I should have know you would like these. I saw a couple of neat ones a few days ago when I was exploring, and it would have been so easy to pick them up for you. 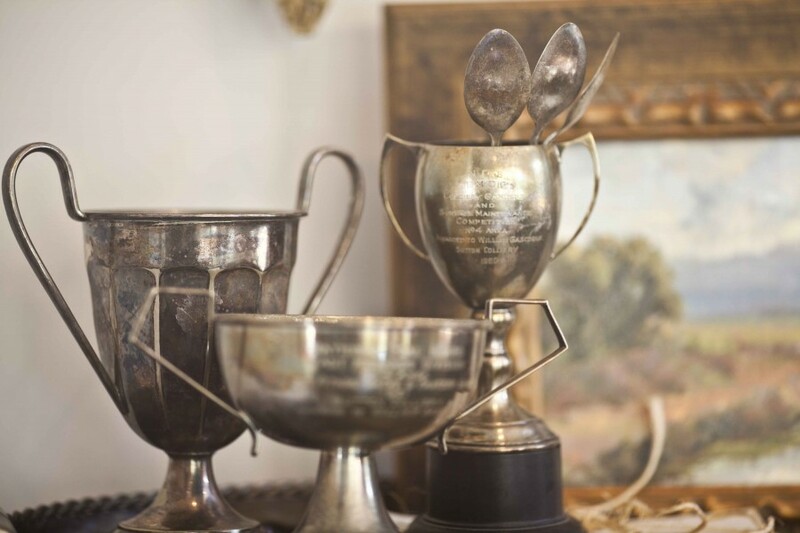 You have such a wonderful collection of vintage trophies….and love their “patina”..and let us know if you find anything about Jack Baily!!! 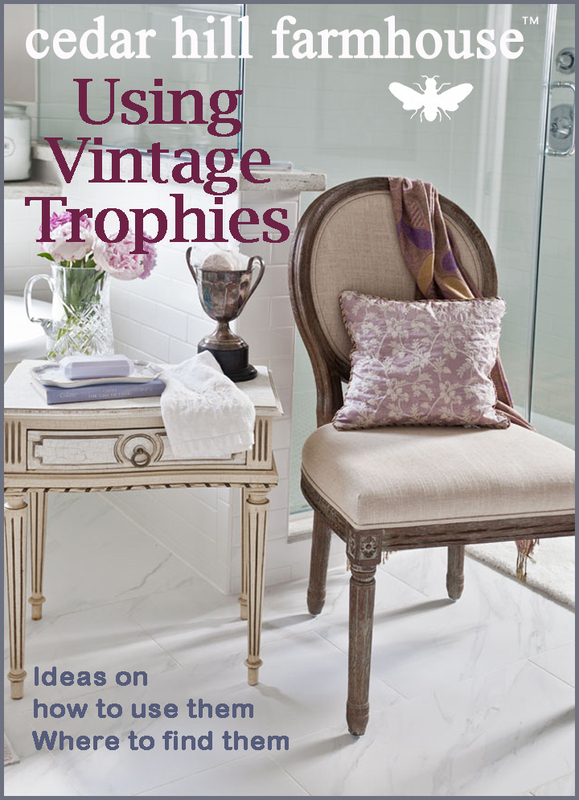 Thanks for sharing your vintage trophies, and how you incorporated them into your decor! 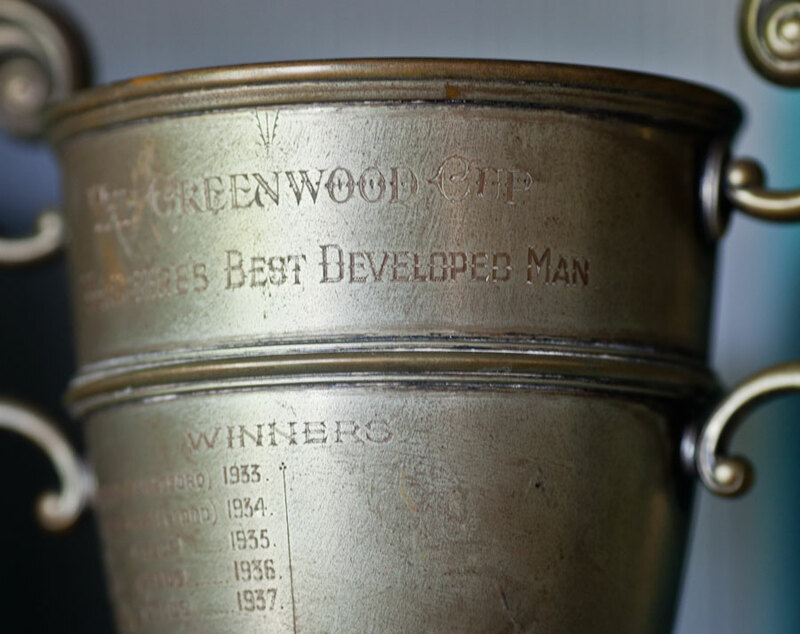 I have to agree that “best developed man” is a bit of an odd title, but I think that it gives the trophy a lot of character! In fact, I would love to have some cute trophies with odd phrasing like that in my home as well. Nice trophies. Thanks for sharing. I would love to have such trophies too.